The package is designed for local city usages. You can get details online at our portal. The Local Full Day service is available for a variety of local trips including sightseeing, shopping, attending meetings, seminars, visiting hospitals, and a lot more. Our trained chauffeur will reach the appointed destination in time. My Taxi India offers you exclusive packages for outstation travel. These packages are perfect for weekend getaways, trip with friends, excursions, and family leisure trip outside the city limits. Each package is devised keeping in mind precise interests, needs, and budget of our patrons prior to making arrangement for a package. We also arrange for group packages from Guwahati to places nearby. The cars sent across will accommodate group size to ensure maximum convenience. The exemplary to and fro provision is offered in Guwahati for multiple destinations from the city of Taj. This is a special package designed to cater to one way drop to traveller’s destinations from Guwahati. We have designed this package for a comfortable, pleasant, and safe visit to multiple cities within a fixed period of time. We also offer special Guwahati city sightseeing tours and any other customized cab rental packages. 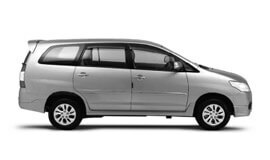 At My Taxi India, we guarantee the unsurpassed car rental services in Guwahati at highly affordable rates. Guwahati has a humid subtropical climate. The summer season, extends from March till the month of June. The season is very hot. Monsoons start from July till September and the winter season brings along a lot of mist and fog in the morning and sporadic showers. According to the 2011 official India census, Guwahati has a population of 963429 at present. Traditionally, Guwahati has been a central administrative and trading center. The city contributes a lion's share of the state's income. Trade and commerce, transportation and services are the major economic activities of the city. The largest and busiest tea trading centres in the world is in the city. It is named as the ‘Guwahati Tea Auction Centre’. Petroleum refinery of IOCL is the most significant manufacturing industry in the city. The city of Guwahati is also home to the Guwahati Stock Exchange (GSE). Tourism and recreation are also contributing to the overall economic growth of the city. Guwahati is a popular tourist destination among people across the globe. The city is home to a number of temples. These places are popular as both religious centers and tourist attractions. Purva Tirupati Sri Balaji Temple is one of the best places to visit. The premise stretches for about two acres of land. It offers a serene atmosphere to visitors. The Shiva Temple is beautifully situated on an island of Brahmaputra river. One required climbing steep steps to reach the temple. You can visit this temple via taking a ferry or motor boat from Umananda Ghat. Other popular tourist destinations of Guwahati include Kamakhya Temple, Vashistha Ashram, Srimanta Sankaradev Kalakshetra, Central Museum, Sahitya Bhavan, Navagraha Temple, Guwahati Zoo, and Guwahati War Cemetery, a memorial cemetery built during World War II and a wonderful tourist place.